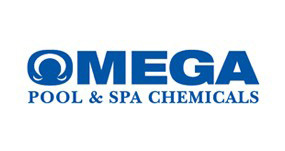 We carry a full line of Natural chemistry, Omega, GLB and all major brand chemicals from clarifiers’ to chlorine and everything in-between. 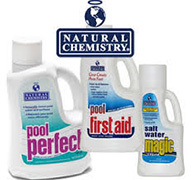 We also carry a full line of spa chemicals and scents. 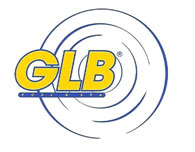 Take advantage of our free and accurate water test and a great supply of chemicals. Not only do we sell chemicals, we understand them. Let us help you solve and clarity or algae problems. Parts - We have a large inventory of in-stock parts! Quality means a lot in the pool business. You don't want to buy equipment just for it to stop working 2 years later. That's why we only carry top of the line equipment. Hayward Super Pumps which are a high-performance series of large capacity, high technology pumps that blend cost-effective design with durable corrosion-proof construction. Hayward sand filters are high rate pro series sand filters that feature unitized construction of corrosion proof polymetric material and self-cleaning 360 degree slotted laterals. A versatile seven-position control valve offers both easy operation and maximum efficiency. Aqua Comfort heat pumps If you want to have a longer swimming season, the Aqua Comfort heat pump is the best way to go. Its state of the art digital technology makes it easy to use and maintain advanced microcomputer technology and exclusive design features allow aqua comfort to deliver heat at lower air temperatures than other heat pumps, the result is more heat when you need it most! Aqua Comfort heat pumps are environmentally friendly and built better to last longer! Along with top quality national brand chemicals our store is fully stocked with parts, cartridges, maintenance equipment (brushes, vacuums, leaf nets) motors, pumps, and so much more!